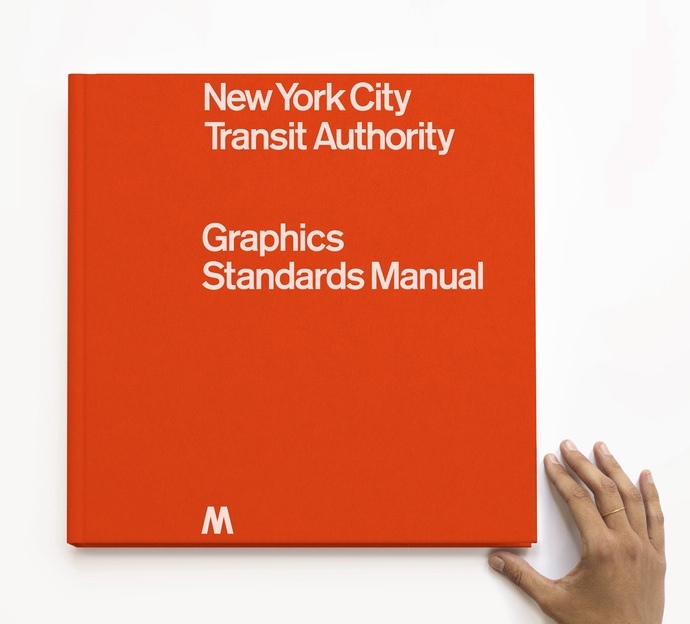 Remember those fellas who found an original copy of the NYC Transit Authority Graphic Standards Manual in the basement of Pentagram? 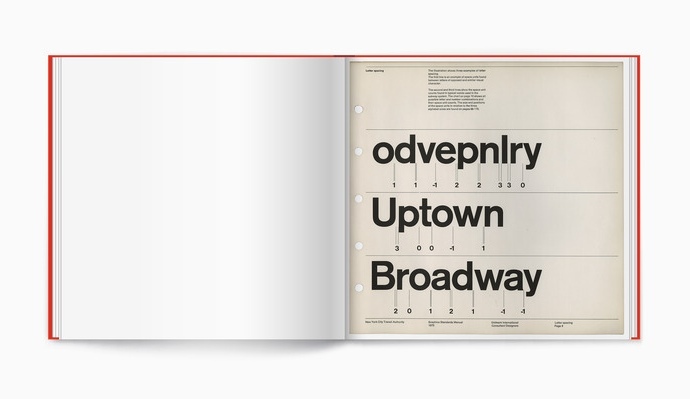 Well, they’re partnering with the MTA to release a limited run of manual through Kickstarter. It won’t be exactly like the original manual. The original is ring bound in binder, but the reissue will feature a cloth hardcover and unaltered high-resolution scans of each page of the manual, all Smyth sewn together. It will measure 13.5” W × 13.5″ H (343 x 343 mm).There will be an introduction by Michael Bierut, and an essay by New York magazine writer Christopher Bonanos. The manual will be printed in Italy on 100 and 140 gsm Munken Pure ivory offset paper. 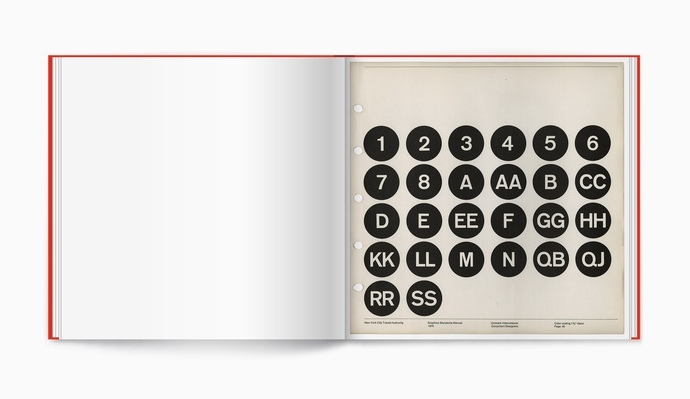 The cover, introduction, and essay headings will be set in a custom version of Standard Medium by type designer Nick Sherman, that he recreated from the photographs of the original manual. 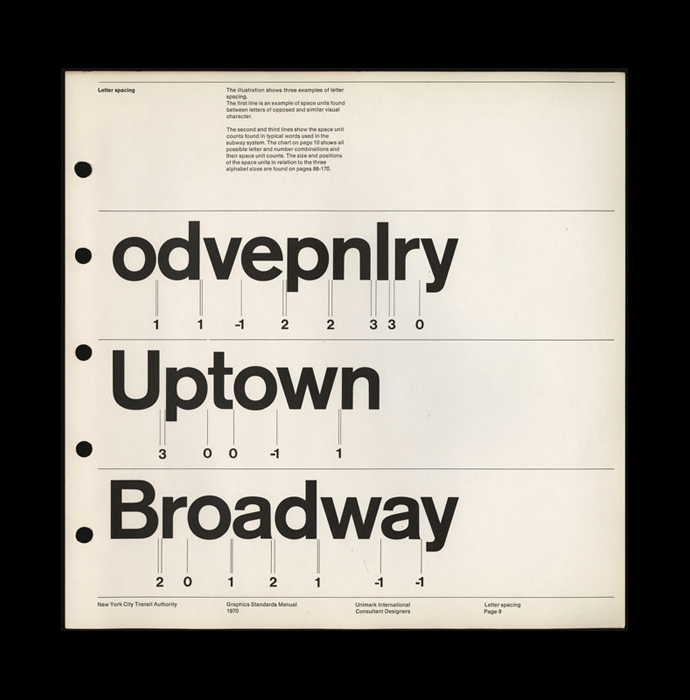 This is a great way to get this wonderful piece of design history in the hands of more people. I’ve backed it.